Information: Anatol and Yania Joukowsky, teachers of international folk dance. Anatol Joukowsky, known affectionately as "Mr. J," was born in Poltava, Ukraine, on August 18, 1908, to Ukrainian parents. His father was a colonel in the cavalry of Emperor Nicholas II. Anatol was a teenager during the Russian Revolution when his father was an officer in the Monarchy's White Army in its doomed stand against the communist Red Army. After World War I, Anatol's family settled in Salonika, Greece. His parents wanted him to have a Slavic education, so he attended military school in Belgrade (Beograd), Yugoslavia. It was in Belgrade that the ballet master of the State Theatre suggested that Anatol should have dance lessons. At the age of 15, he began a two-year term of ballet study at Mme. Poliakoff's ballet school. His interest grew, and when Pavlova visited a school performance, she singled him out for special commendation. This aided materially in his decision to make dance a career, and he went on to the State Theater School in Beograd, a four-year institution where each student studied opera, drama, and music. At the State Theater School, if the student's interest was primarily in dance, he studied eleven different phases, including history of dance, history of costume, dance technique (ballet, character or ethnic, partner support or pas de deux, and dance plastic, which is like modern dance). In the third year of Theater School, each student began training in choreography, staging and stage design, lighting, spacing, and stage history. Dance technique courses were continuous throughout the four years. During their term at the school, students were expected to perform in the theater as background for large dance numbers, processionals, etc. After graduating, students went to work in the State Theater, with dancers beginning in the last row of the corps de ballet for two years. Anatol was a solo dancer for two years and, in 1935, became ballet master and choreographer for the State Theater. Concurrently, with his time at the State Theater School, he studied engineering at the University of Belgrade. At first, during his two-month vacation period, Anatol would hunt, fish, and watch the people dance in the Yugoslavian countryside at weddings, festivals, and holiday occasions. Between 1923 and 1941, he and a group of friends traveled to Bulgaria, Greece, Hungary, North Africa, Poland, Romania, Spain, Syria, and Turkey. Many of his dance research trips were accomplished on horseback. Anatol graduated in 1926. During his fourth year at State Theater School, Anatol was smitten with a slight young woman with long braids that he delighted in pulling  one Yania Wassilieva. Yania was born on October 24, 1911, in Warsaw, Poland. After World War I, Yania's parents emigrated to Yugoslavia where she began her ballet training. Yania made her dance debut at the National Theater in 1930, and soon became a prima ballerina. Anatol and Yania were married in 1932. 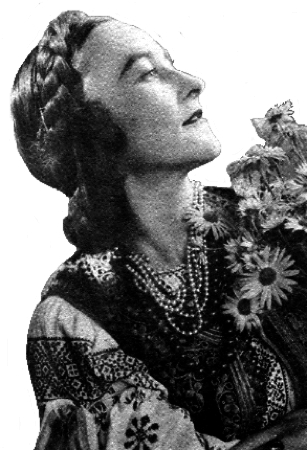 During 1936, Anatol organized a small professional group to specialize in ethnic dance. The group worked on dances Anatol brought back from his many trips to Bulgaria, France, Greece, Macedonia, Poland, Russia, Serbia, and the Ukraine. The dancers had their own musicians and orchestrated their own tunes. They gave their first recital of ethnic dance in 1937 at the University Auditorium of Beograd. They were invited to perform at a Sokol festival in Prague, Czechoslovakia, in 1938, where his performers won the first prize in the competition. He was not only permitted but encouraged by the director of the State Theater to repeat the performance under its auspices. In March 1941, his first exhibition of ethnic dances at the State Theater of Belgrade was presented. It was entitled The Book of Yugoslavia and provided the impetus for two ballets that Anatol choreographed. His works were enormously well received in Belgrade. During this period, Yania was an active participant in many of the performances, and in the scientific hunts which took them into the native hills and countrysides to find authentic dances, notate music, and photograph the people in their native costume. In the interim between World War I and II, Anatol was the only professional choreographer who was doing folk dance research, and this was the last era when these dances could be found alive in these particular countries. He would hear news of an upcoming wedding in some small village (in Bulgaria, Romania, Yugoslavia, etc.) and would trek to it knowing quite well that there would be lots of music and dancing. In addition to his many accomplishments, he was awarded the Cavalier Cross of Bulgaria from King Boris III in 1938, the Order of St. Vladislav of Czechoslovakia from President Benes in 1938, and the Order of St. Sava from prince Paul of Yugoslavia in 1941. As the specter of war loomed in Europe, Anatol and Yania fled to Austria, where he became ballet master at the Vienna Opera House. He was captured and sent to a prisoner-of-war camp in Berlin, Germany, for a time but escaped, found Yania, and made his way to France toward the end of the war. He returned to ballet in the French theater and later stayed in Belgium. He joined the French 5th Armored Division by the Rhine in 1945 and enrolled himself and Yania for the American quota to come and live in the United States (he had a sister in San Francisco). At the end of World War II, Yania performed with Anatol in programs staged by the Special Services Division of the French Army. In 1948, while waiting to be included in the American immigration quota, he and Yania obtained positions with Colonel de Basil of the Ballet Russe, which was playing in France. He traveled with the troupe to Africa, Portugal, and Spain. While with the the company, he danced, choreographed, and was a second stage director for two years. Anatol had now danced in nearly every country in Europe and the Middle East. When Ballet Russe disbanded, he obained a position in the Belgian Royal Opera Ballet. In January of 1951, Anatol and Yania arrived in New York City, New York, through Canada. Anatol's first job was a machinist for Apparel City in San Francisco. He also worked for United Airlines. That same year, the couple gave a two-person dance recital at a Legion of Honor Hall and were soon energizing the folk dance community. Later they moved to San Francisco, where he started to teach in the San Francisco Ballet (14 years), the San Francisco Conservatory of Music and College, and part-time in universities. He finally obtained a full-time position with San Francisco State College. In 1953, Anatol decided to expand his dance recital from a duo to a full-fledged show comprised of members of the various classes that he was teaching. "The Joukowsky Recital" became one of the high points of the close of "Kolo Week" in San Francisco. In 1963, Anatol taught special classes in the Russian folk form at Stanford University and led various exhibition groups. He became active in the Folk Dance Federation of California, teaching workshops, conferences, and camps, including the annual Stockton Folk Dance Camp in the north and the Santa Barbara Folk Dance Conference in the south (1963 and 1964). In the late 1960s, he also taught ethnic dance at San Francisco State College (before the designation was changed to University). Long-time friend and federation member Ruth Ruling worked with Anatol, describing notes for the dances he taught and performed. Those descriptions became the basis for his book, The Teaching of Ethnic Dance, published in 1965. Anatol and Yania lived for a time in East Palo Alto where Yania operated a dance studio for a number of years. They later moved to Menlo Park. Anatol's death of heart illness on October 5, 1998, preceded his beloved Yania's death on September 17, 1999, by less than a year. The couple had no children. "Ajde Jano: A Serbian Folk Song." Viltis. XVI (1957), 10. The Teaching of Ethnic Dance. Joukowsky, Anatol M. Illustrated by Serge Smirnoff. New York: Pratt, 1965; reprinted New York: Arno, 1980. Backgrounds and descriptions of European dances "discovered" (Vyts Beliajus' word) by Joukowsky. 1908  Born in Poltava, Ukraine to Ukrainian parents. 1923  Begins a two-year term of ballet study at Mme. Poliakoff's ballet school. 1923-1941  Travels to Bulgaria, Greece, Hungary, North Africa, Poland, Romania, Spain, Syria, and Turkey. 1932  Marries Yania Wassilieva. 1935  Becomes the ballet master and choreographer for the State Theater in Beograd, Serbia. 1936  Organizes a small professional group to specialize in ethnic dance. 1938  His performers win the first prize in a competition. 1938  Awarded the Cavalier Cross of Bulgaria from King Boris III. 1938  Awarded the Order of St. Vladislav of Czechoslovakia from President Benes. 1941  Awarded the Order of St. Sava from prince Paul of Yugoslavia. 1945  Joins the French 5th Armored Division by the Rhine. 1948  Anatol and Yania obtain positions with Colonel de Basil of the Ballet Russe in France. 1951  Anatol and Yania emigrate to the United States. 1953  Expands his dance recital to "The Joukowsky Recital" one of the high points of "Kolo Week" in San Francisco. 1956  Teaches at Santa Barbara Folk Dance Conference. 1957  Introduces Ajde Jano. 1963  Teaches special classes in the Russian folk form at Stanford University. 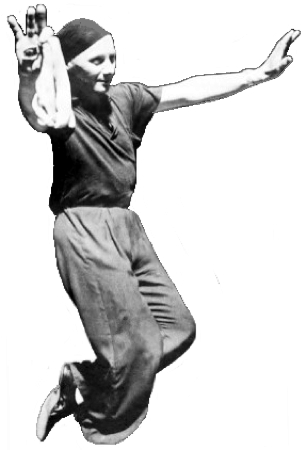 1965  Publishes The Teaching of Ethnic Dance. 1998  Anatol passed away. 1999  Yania passed away. Real vs. Choreographed Folk Dances, an article.